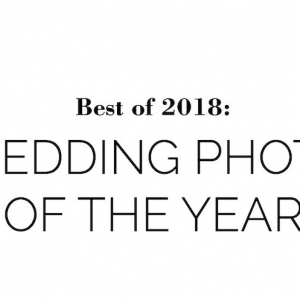 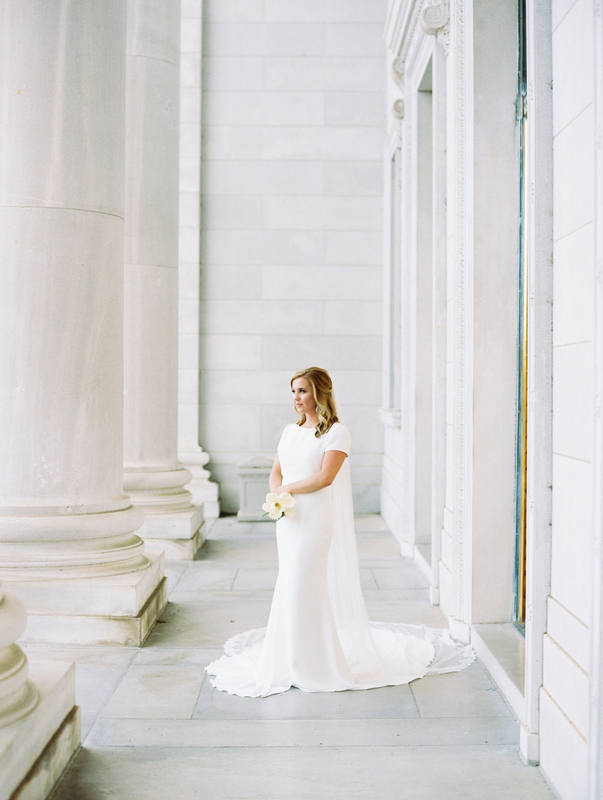 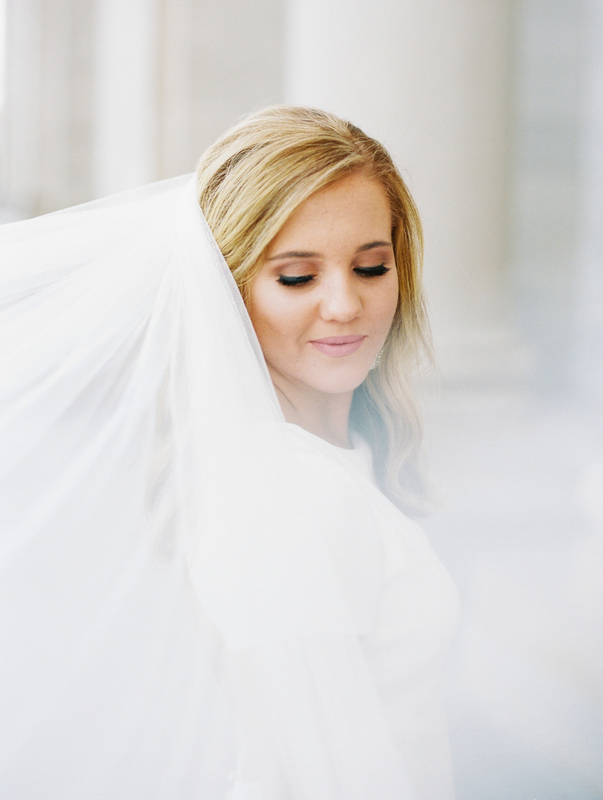 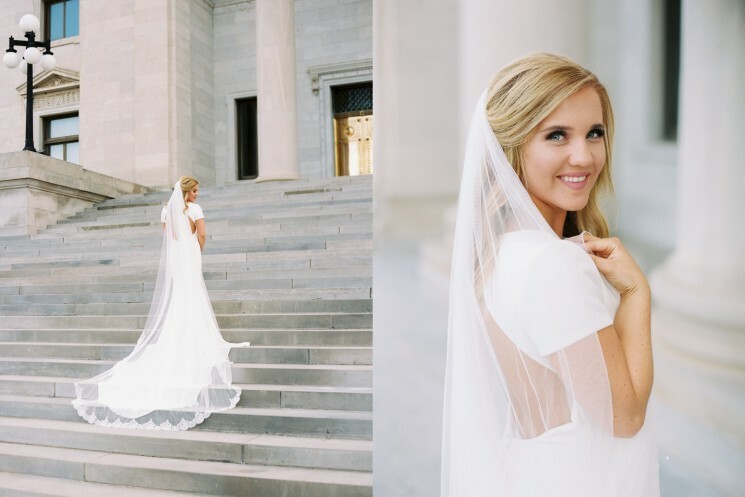 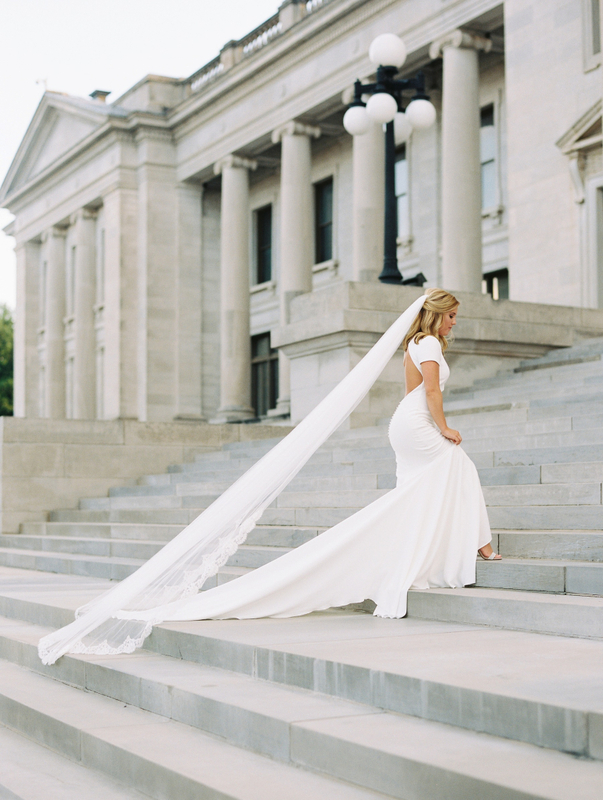 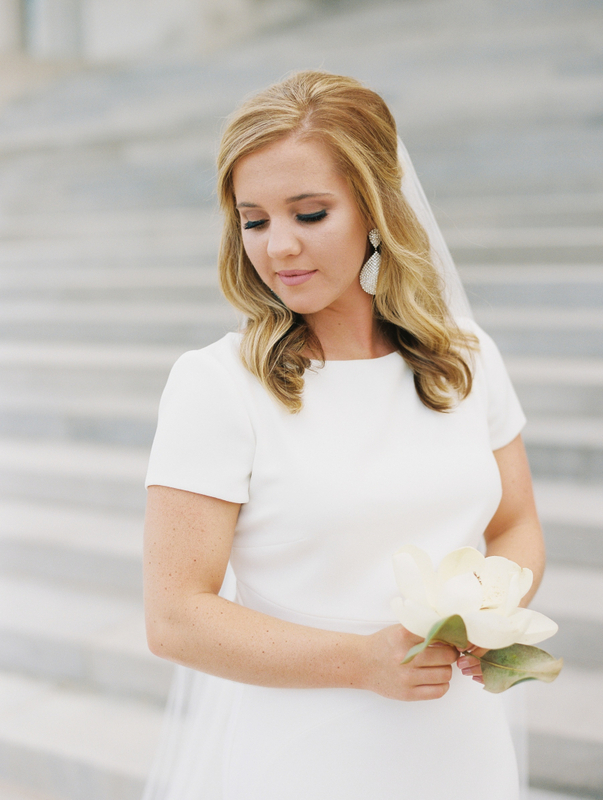 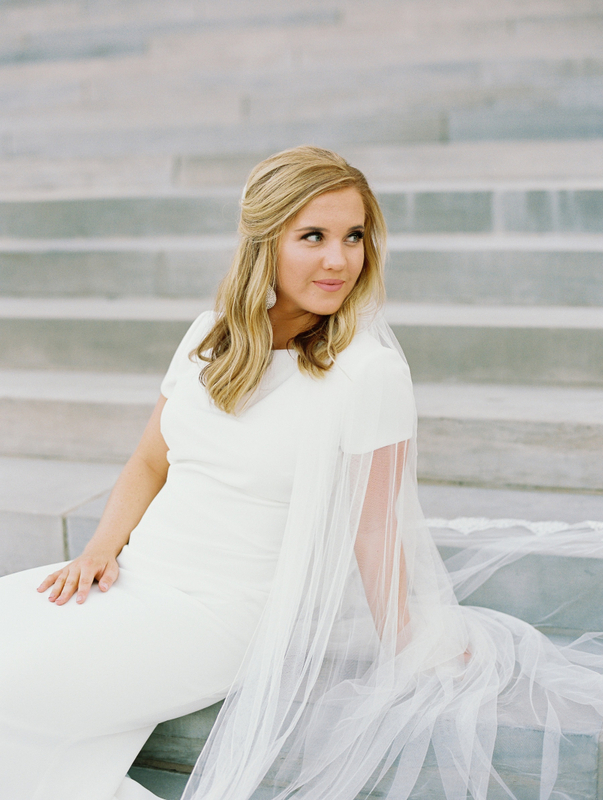 Jasa Connell Horne holds a single white flower in these lovely bridal portraits against the elegant backdrop of the Arkansas State Capitol. 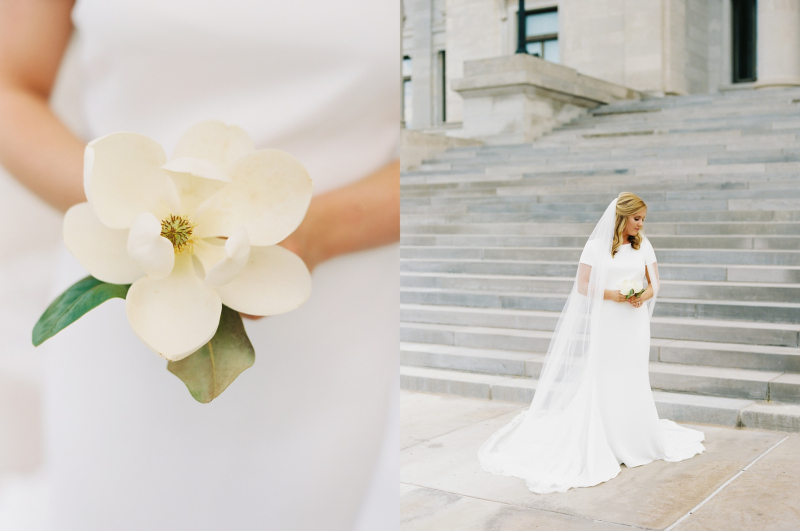 Jasa Connell Horne holds a single white flower in these lovely bridal portraits against the elegant backdrop of the Arkansas State Capitol. 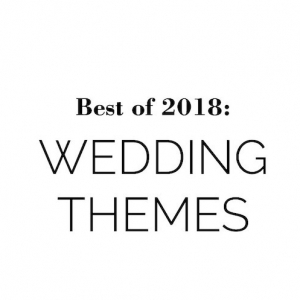 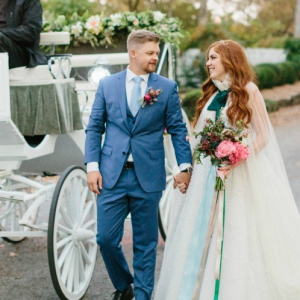 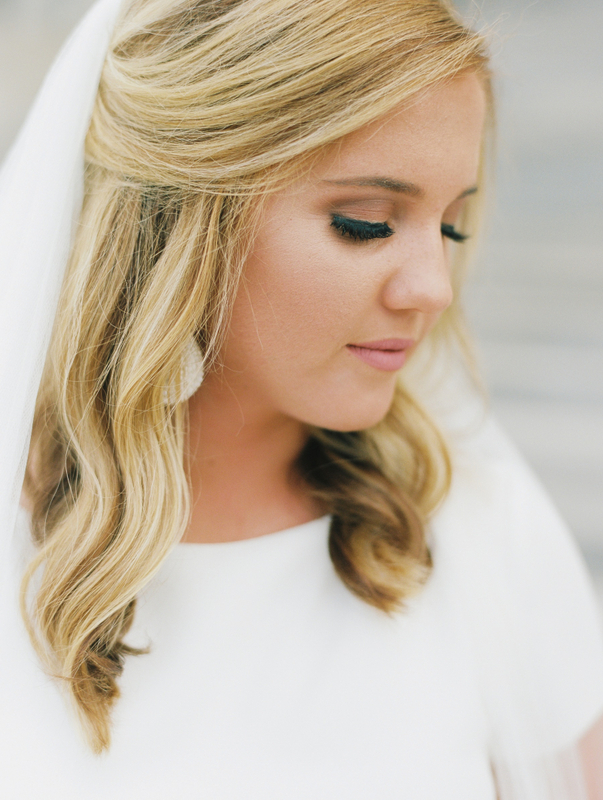 Her long trailing veil, silver earrings and unique bouquet take classic wedding elements and give them a simple, bold twist.